Scarves and math - an awesome combination. Aha!! You were talking about the number of ROWS you were going to knit in each color. Aha!! And I was picturing you knitting one stitch, then turning around and knitting two stitches, then turning and knitting 3 stitches, then turning and knitting 5 stitches, then turning and knitting 8 stitches, etc. 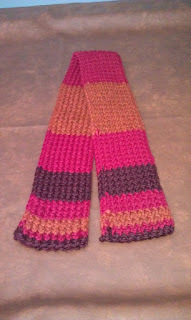 It would have given you a nice 'tail' on each end of the scarf by the time you got to 21. Hmmm....I may try that anyway, just to see how it works. 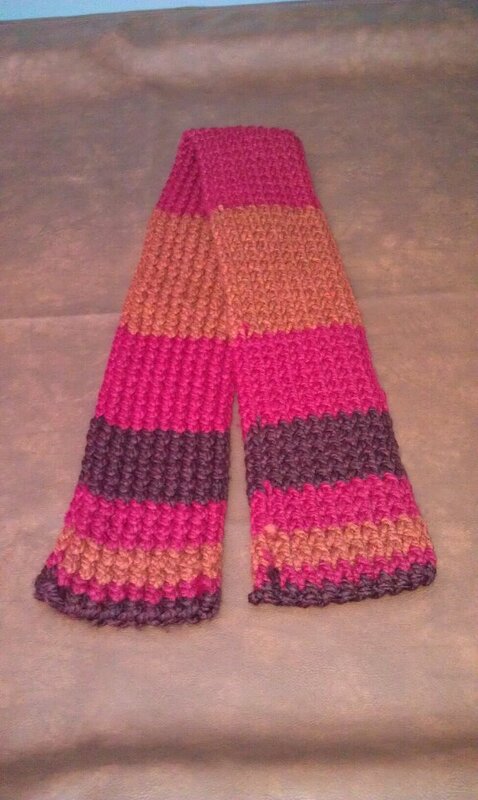 It any case, that's a great color selection you made and I hope the wearer finds it quite warm and cozy. Thanks for the picture. cool:) have you done Pi? Little musical interlude for the mathematically minded.